The government has released the names of the students that have been admitted under the government scholarship scheme in the 9 public universities for the academic year 2019/2020. Makerere University, Kyambogo University, Busitema University, Makerere University Business School, Gulu University, Muni University, Kabale University, Lira University, Mbarara University of Science and technology are the universities covered under the scheme. 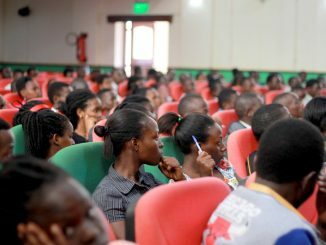 The highest number of admissions has been 82 in the Bachelor of Medicine and Bachelor of Surgery at Makerere university with the Bachelor of Science in Wildlife Health and Management having 2 students, the least number of admissions from Busitema University. For the avoidance of doubt, the students for the admission on law will be released after the students have finished sitting the pre-entry exams scheduled for the 13th April (Saturday) and results released. View list below.